Vancouver • BC: 202A – 7418 6th Street, Burnaby, BC, V3N 3L6. Toronto • ON: 220 Finch Ave E, North York, ON, M2N 4R9. - Full Range of Security Guard Services: Security Guards, Event Security, Concierge Clerks, $9.99 Security Patroller, Site Security. 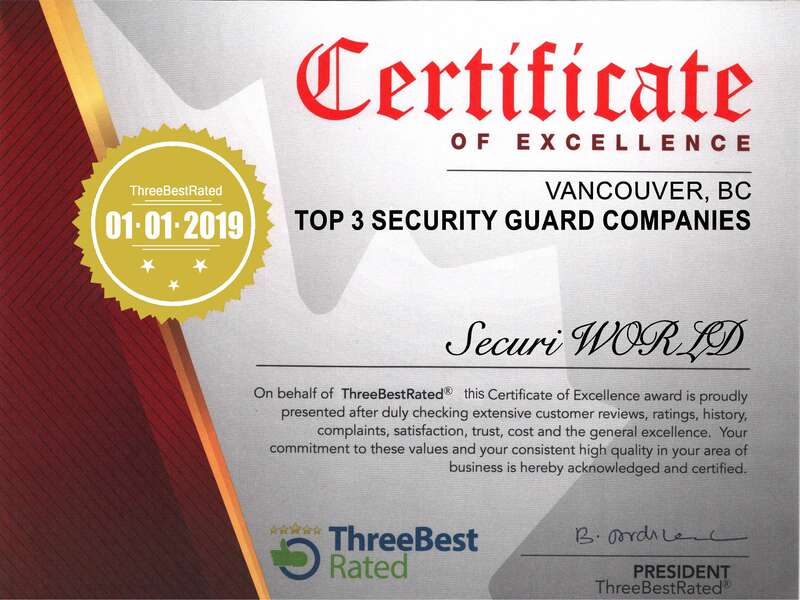 Best Security Guard Company. SecuriWORLD is a pioneer is the security industry and provides high visibility uniforms on port lands and currently maintains the largest contingent of Marine Security trained security officers. Our clients’ security needs have evolved significantly over the years and our services have expanded in tandem with these changes. To remain a leader in the port security industry. Canada is book-ended by 2 oceans, has 5 great lakes, and thousands of smaller lakes and rivers with hundreds of ports – ranging from large international ports to small local marinas, each needing a customized security solution. The vast open spaces, large footprint and slow movement create complex challenges for port and maritime security. Fleets, cargos and personnel must arrive safely to their intended destination. The volume of international trade moving through our navigable waterways creates a target for theft and physical attack. Do You Trust Your Current Security Provider? Which security company pays the best in Toronto and Vancouver? SecuriWORLD Canada Security Services Inc.
© 2019 All rights reserved. SecuriWORLD Canada® Security Services Inc.